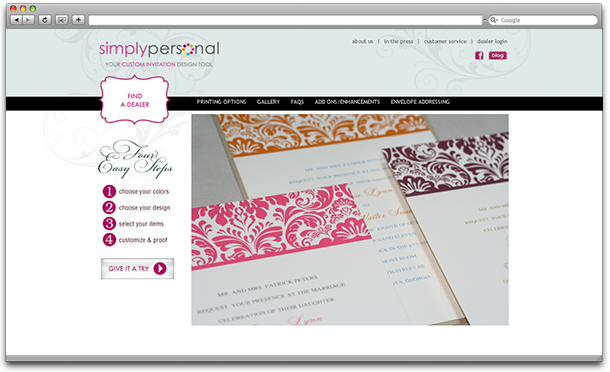 Susan Strauss has event planning under her belt, and what started as an idea to make the wedding planning process easier evolved into SimplyPersonal.com. The expression, "Everything is Bigger in Texas" definitely applies to the wedding scene and Dallas is no exception! This bustling new business branch gives clients the ability to design their own custom invitations. Not design savvy? Not a problem. 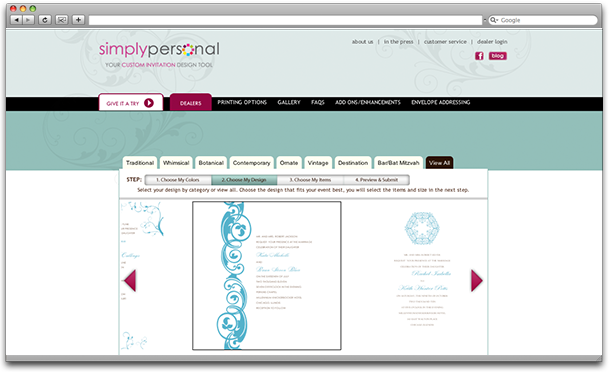 SimplyPersonal.com simply asks you for your wedding colors and then suggests layout options that you can customize. 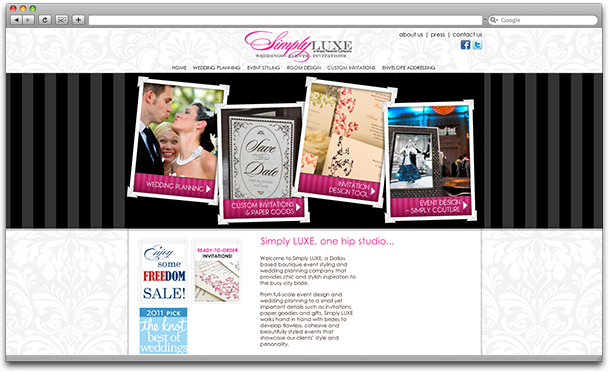 Artistry Labs first partnered with Susan Strauss on Simply Luxe, a site entirely devoted to the world of wedding planning. For Simply Personal, we created an easy-to-use technology platform for designing ready-to-order invitations. The end result was an interactive design board that was true to the fun, creative nature that is Simply Personal.